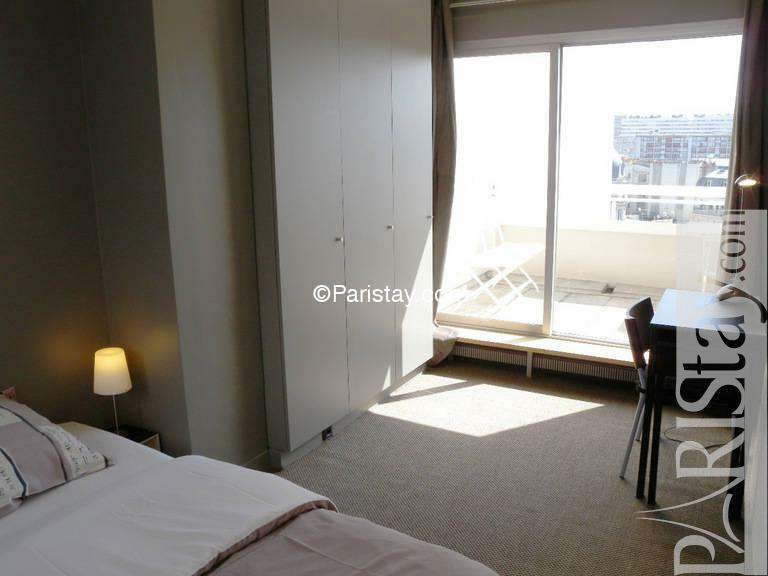 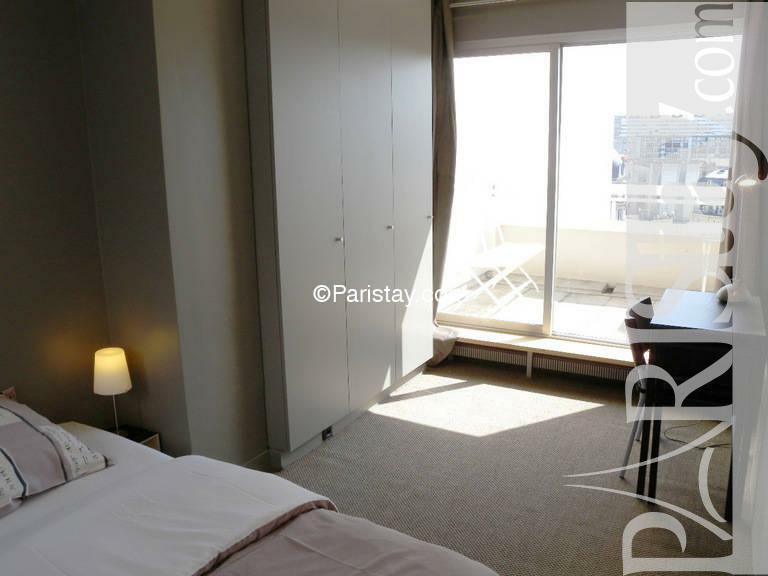 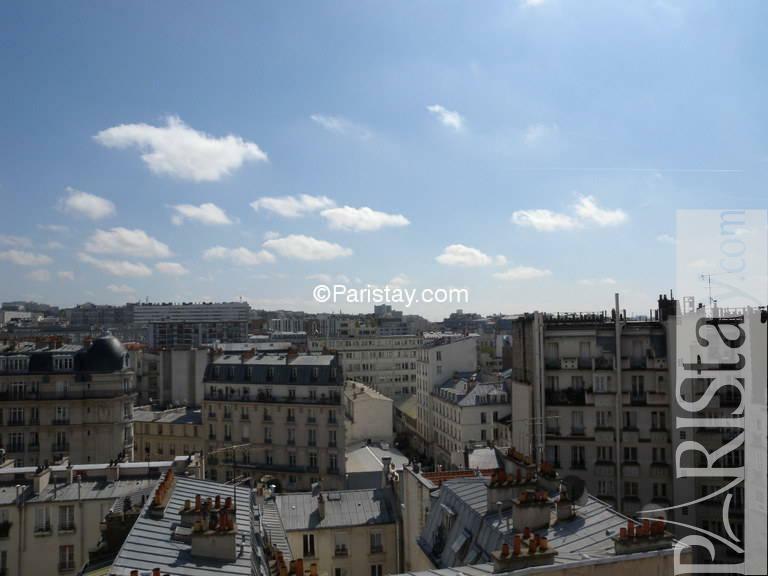 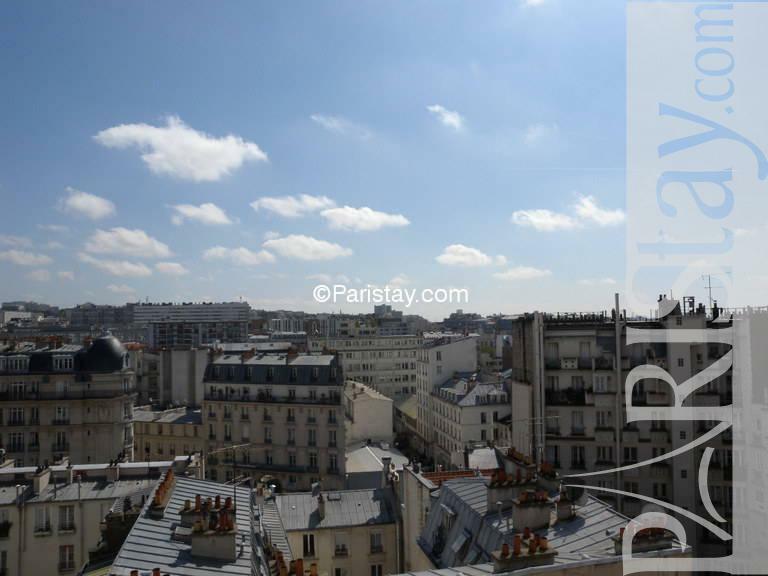 Amazing Paris one bedroom apartment situated atop of a modern building in the lively Faubourg St Martin area. 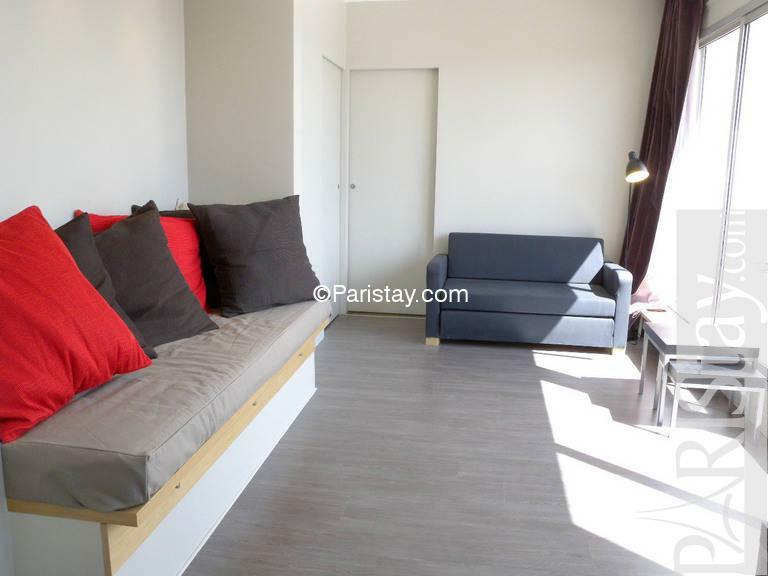 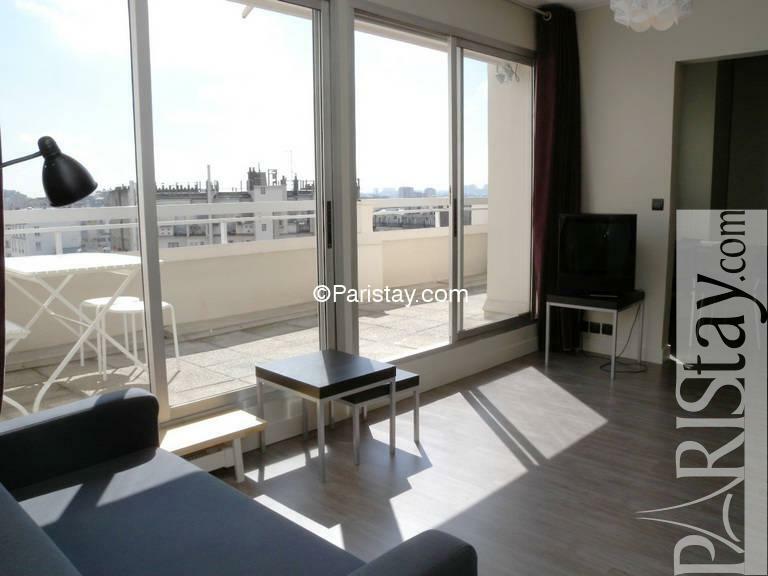 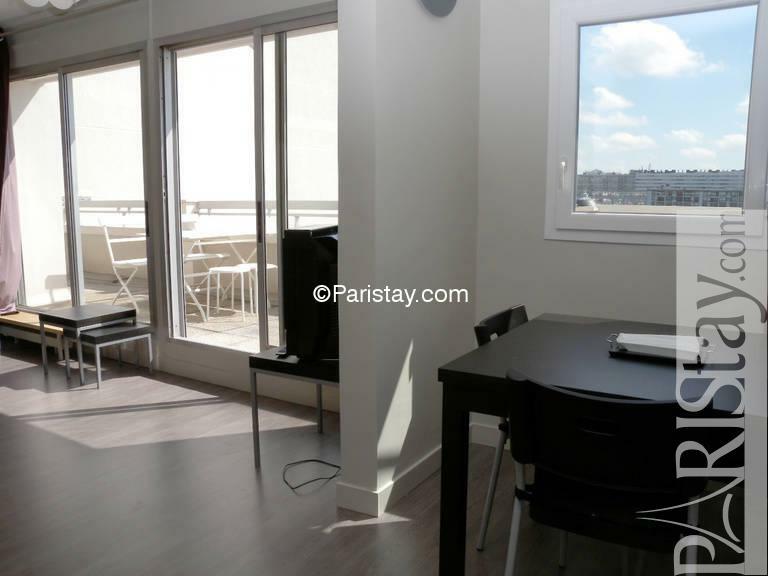 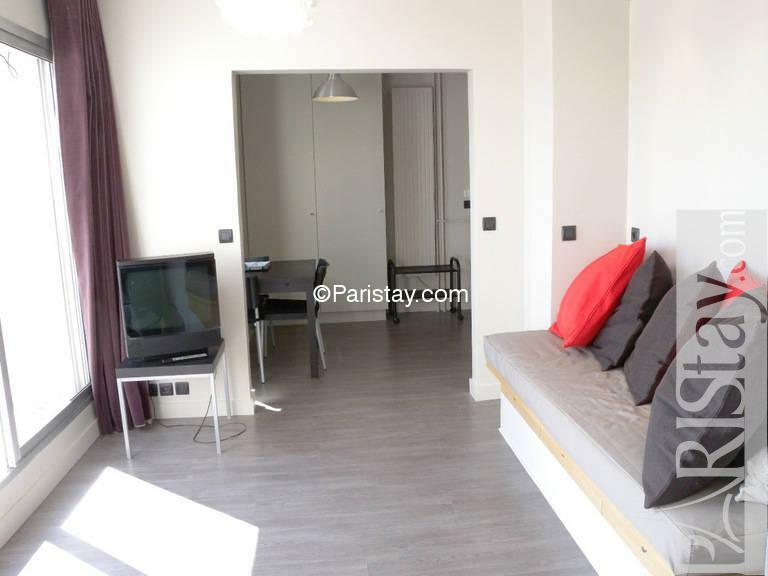 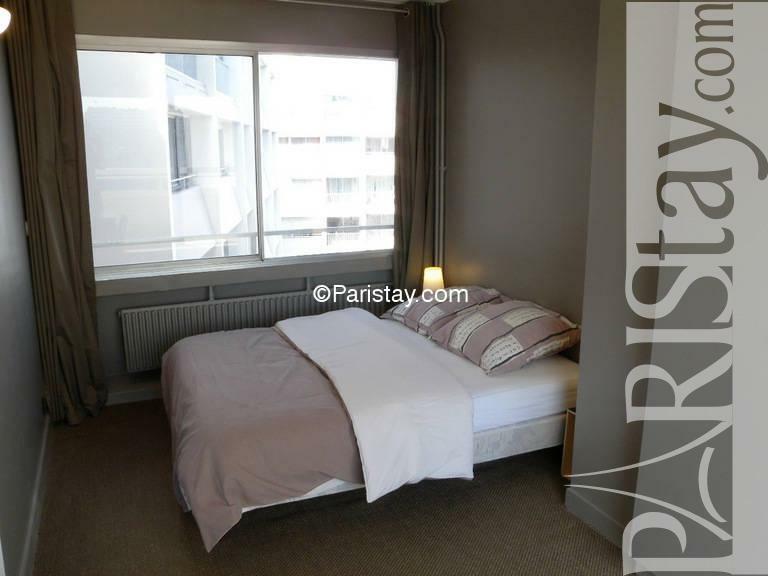 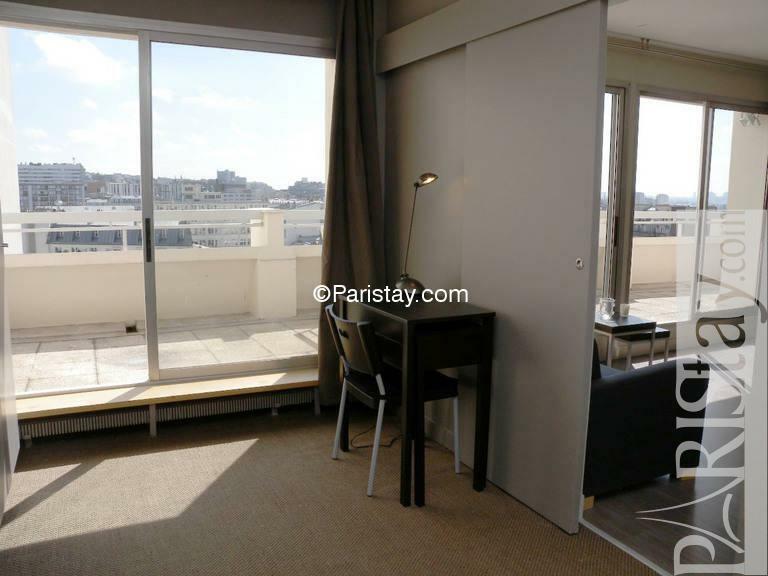 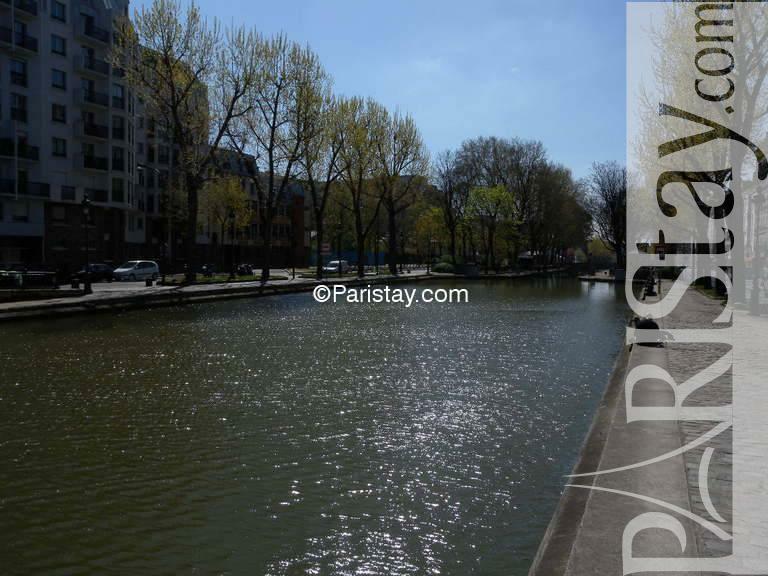 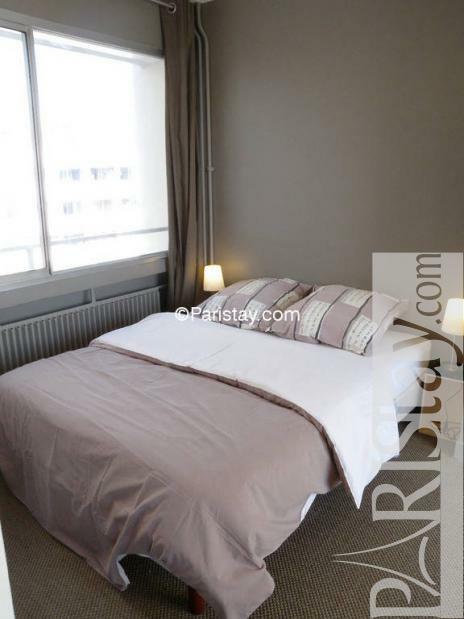 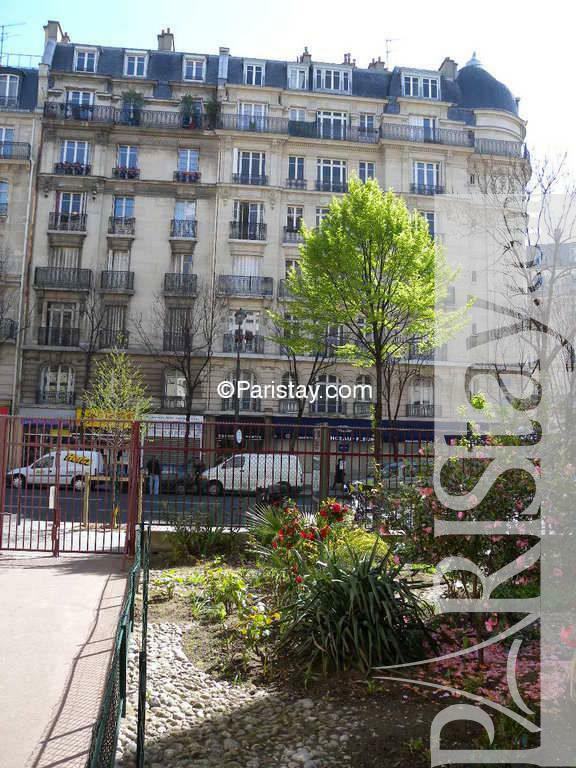 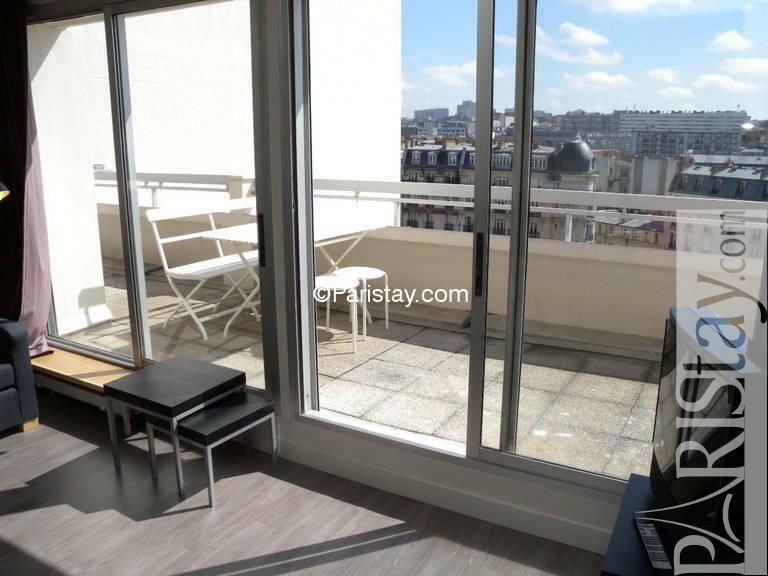 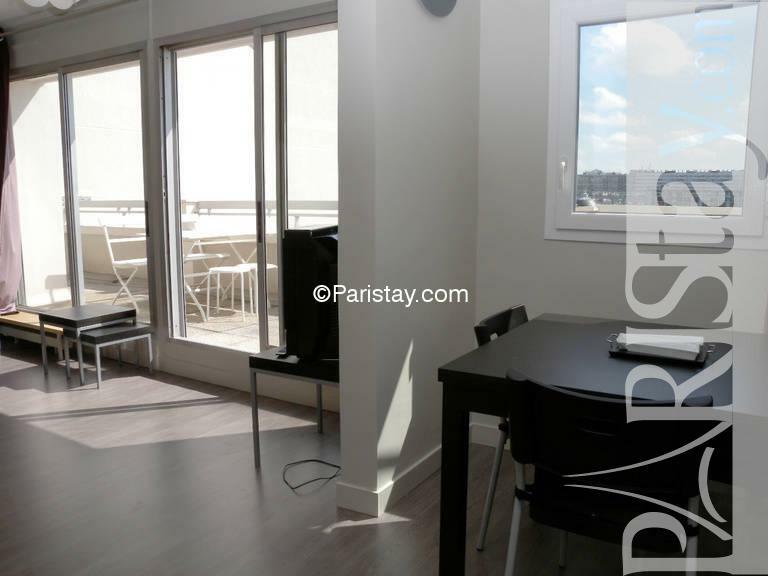 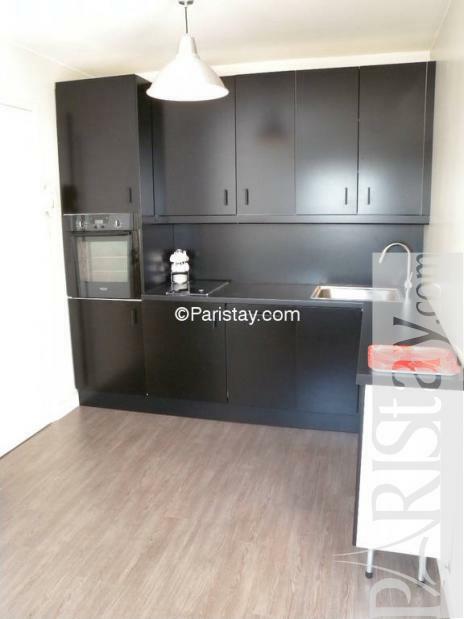 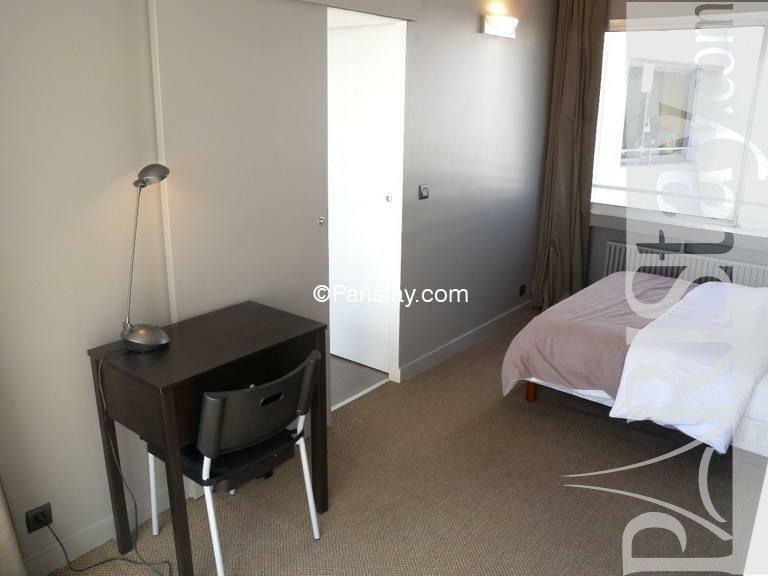 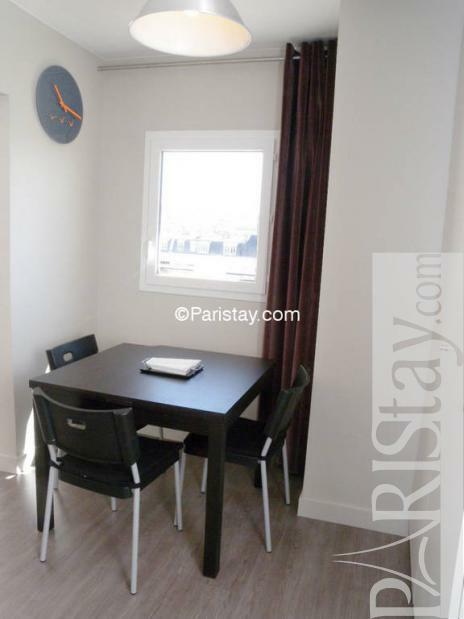 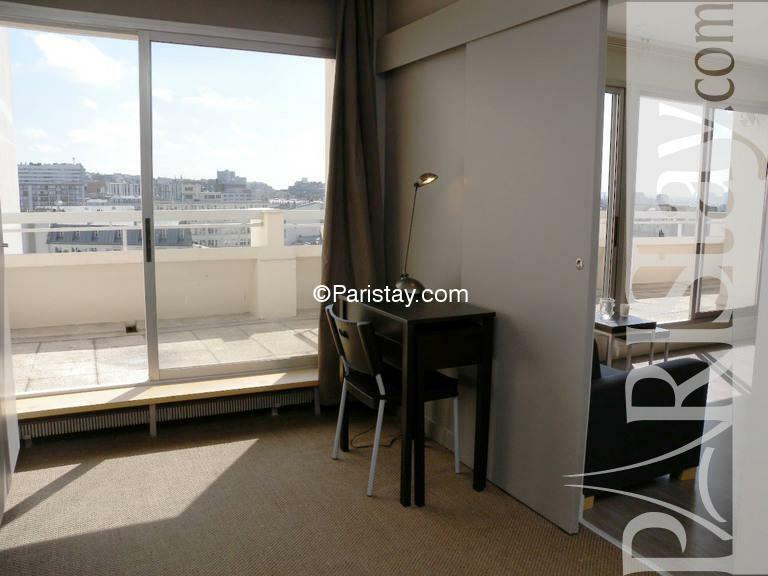 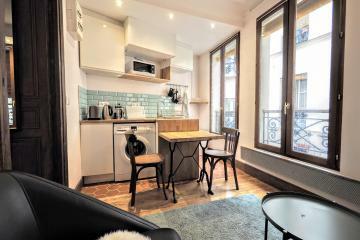 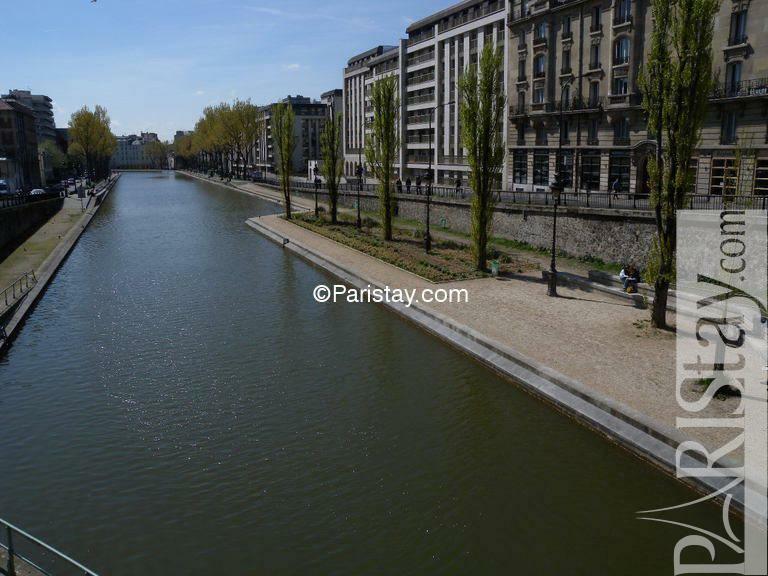 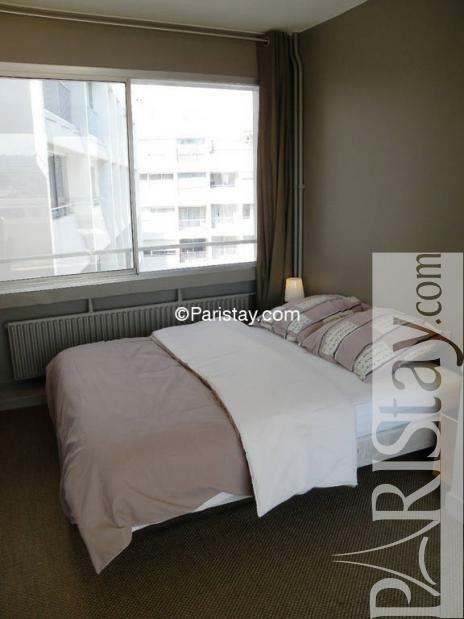 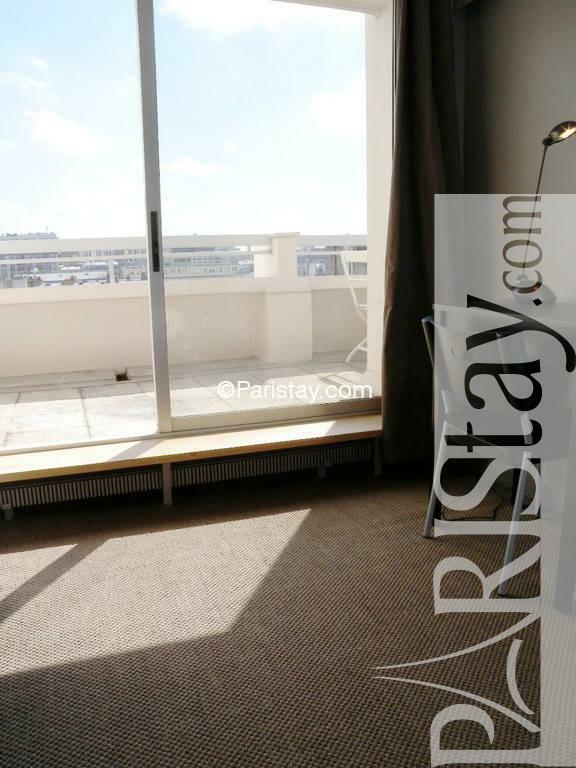 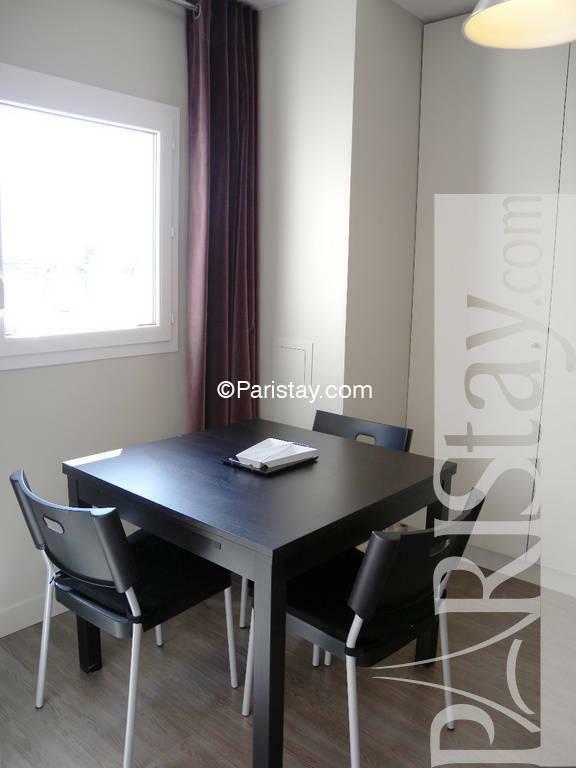 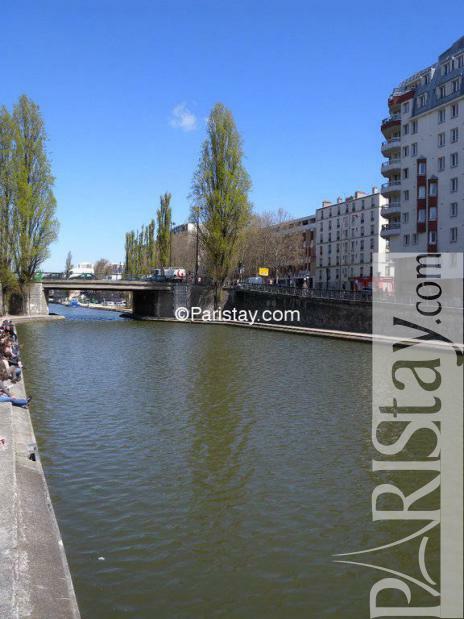 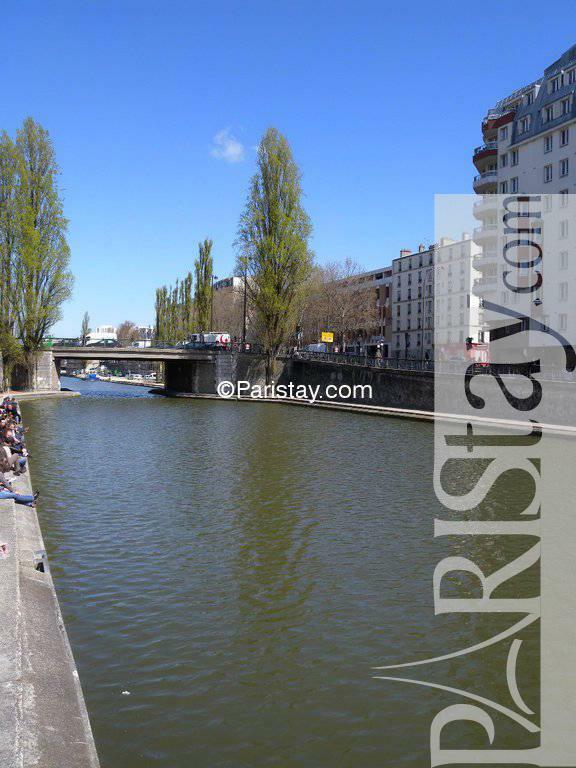 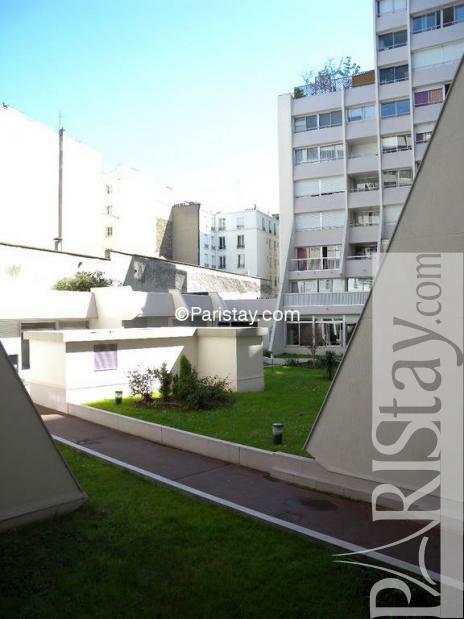 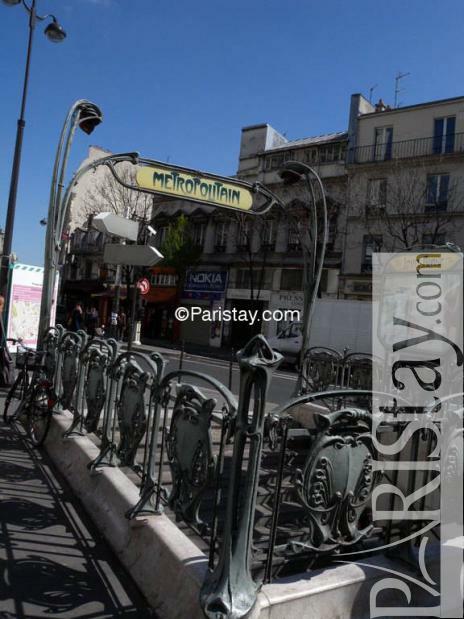 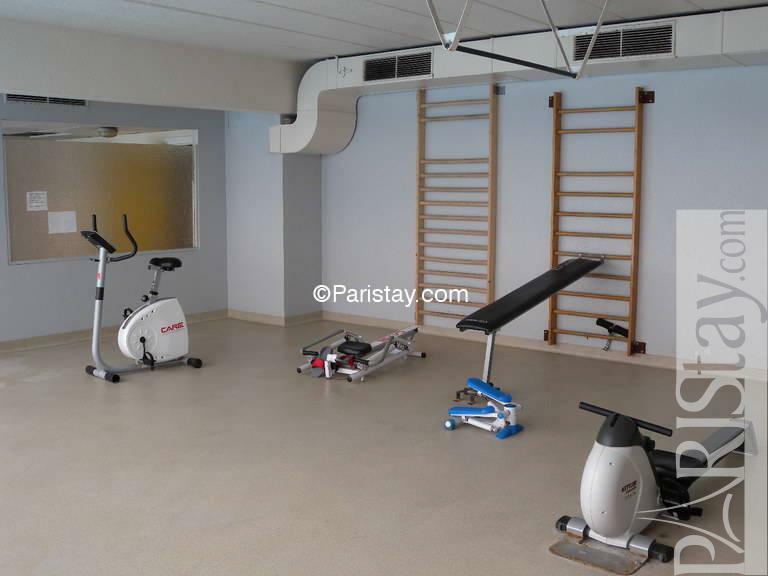 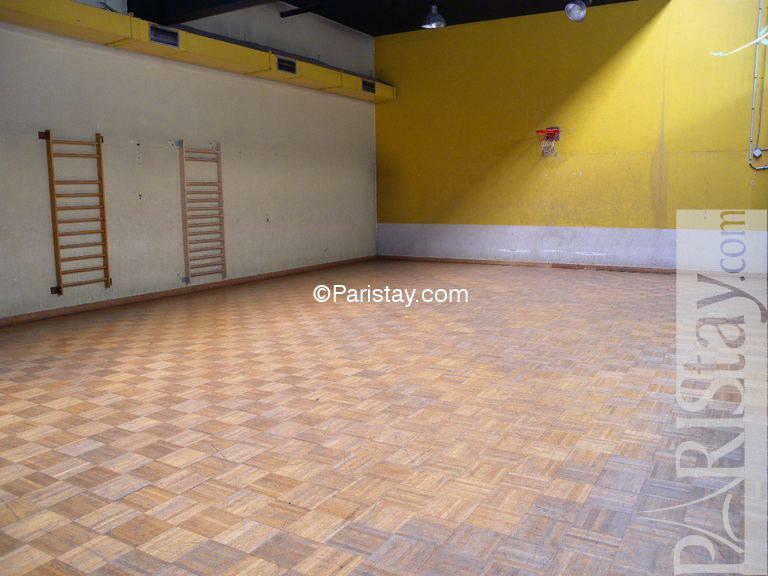 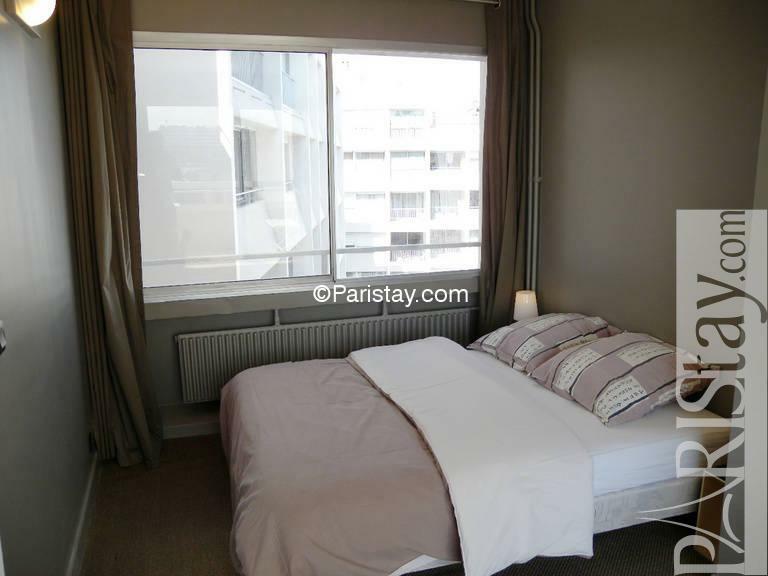 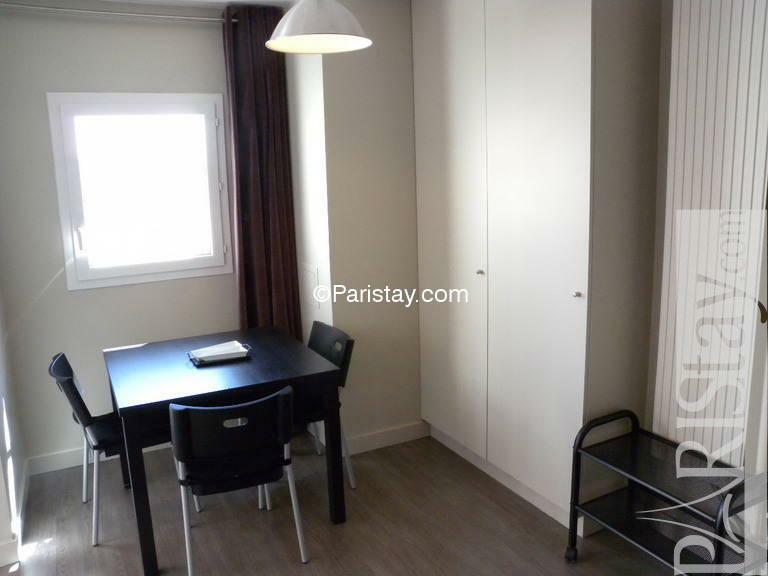 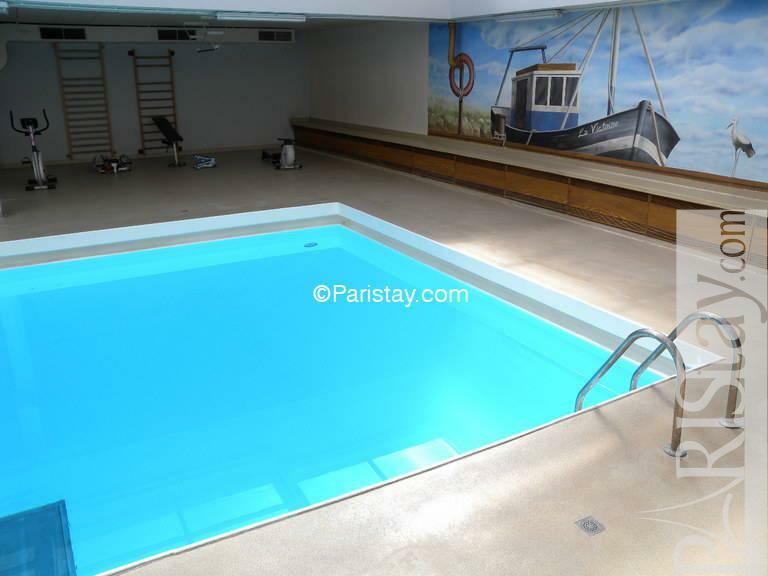 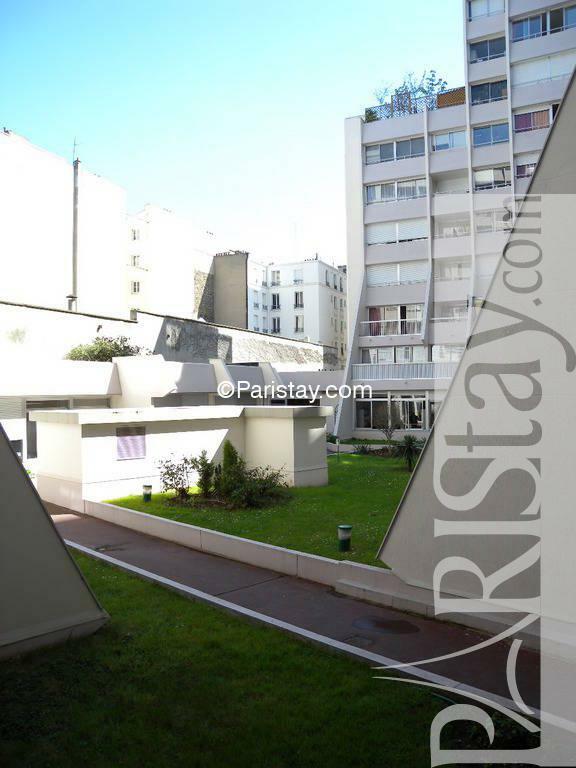 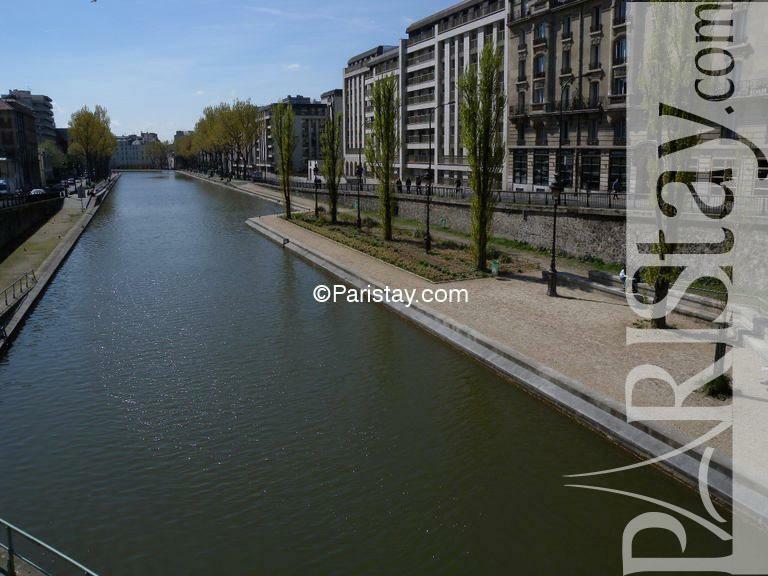 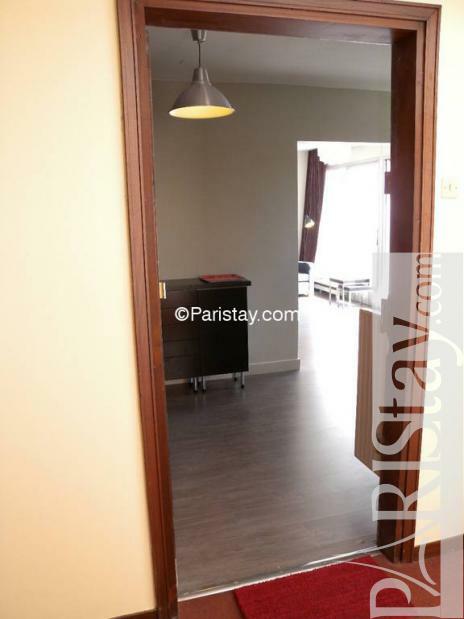 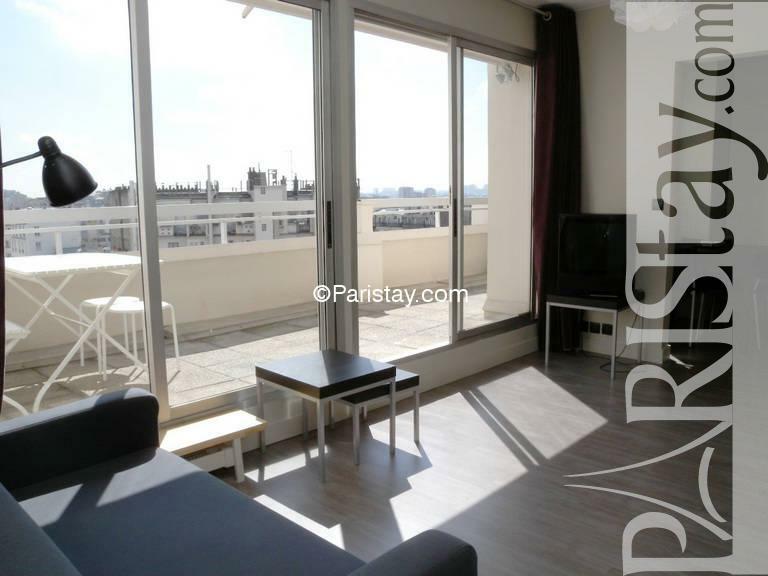 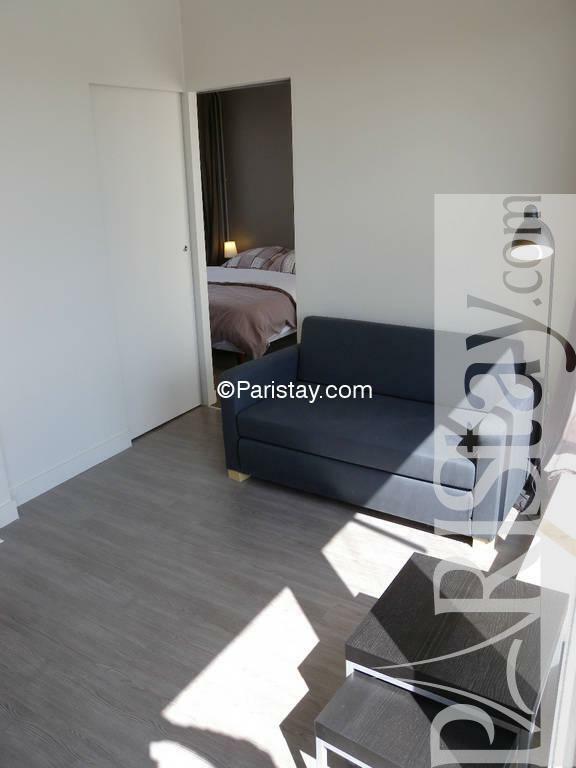 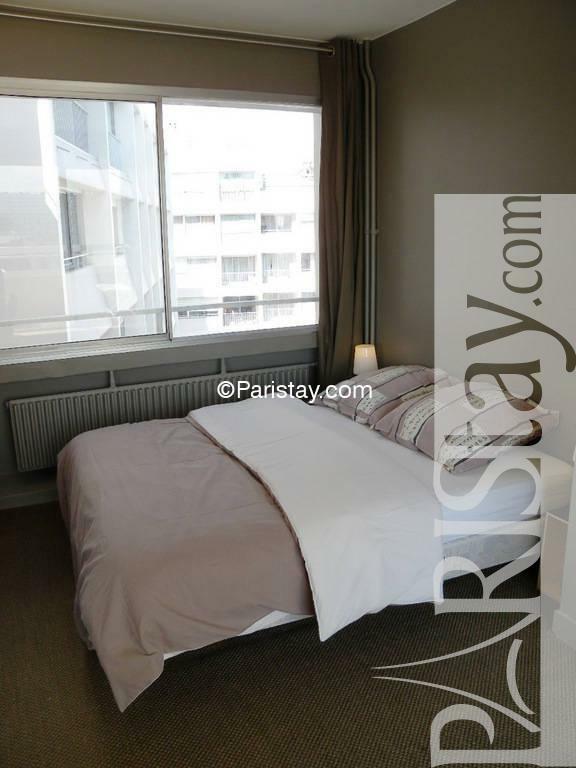 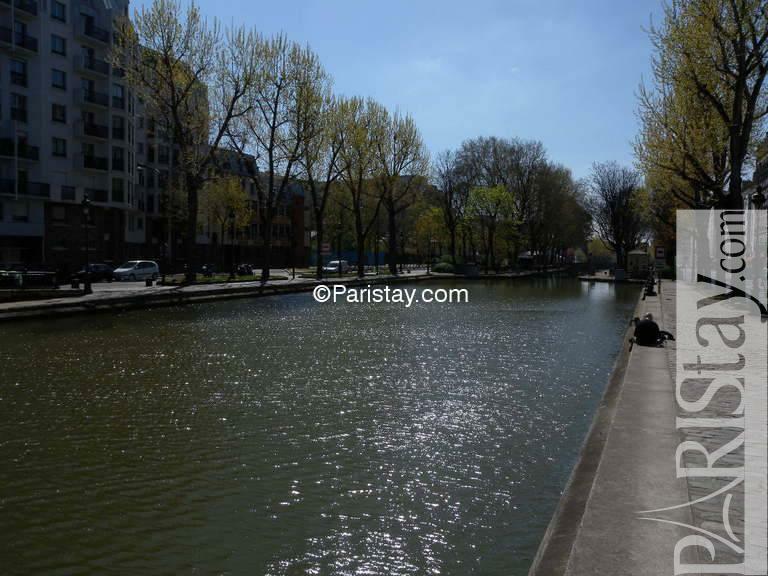 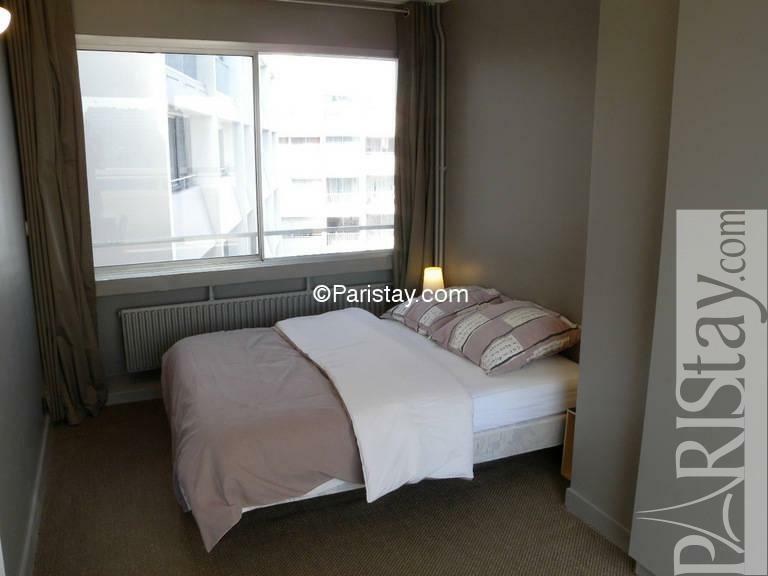 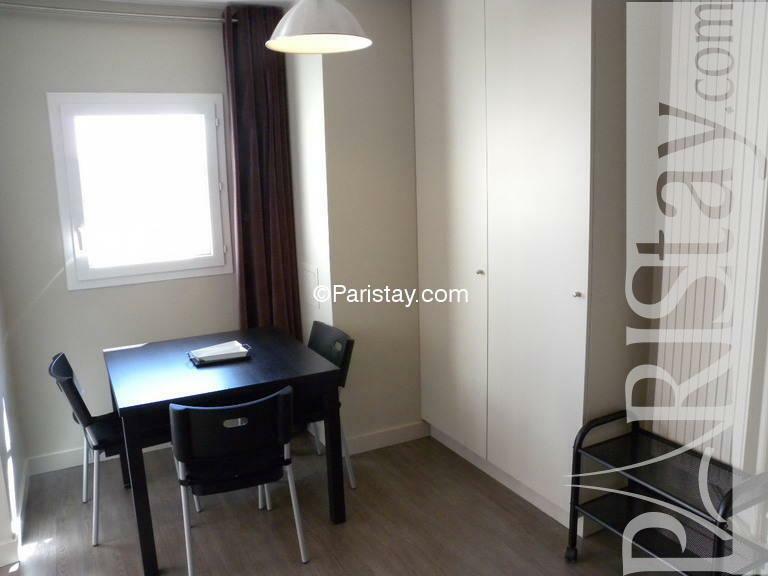 Within walking distance to Canal St Martin in the 10th arrondissement. 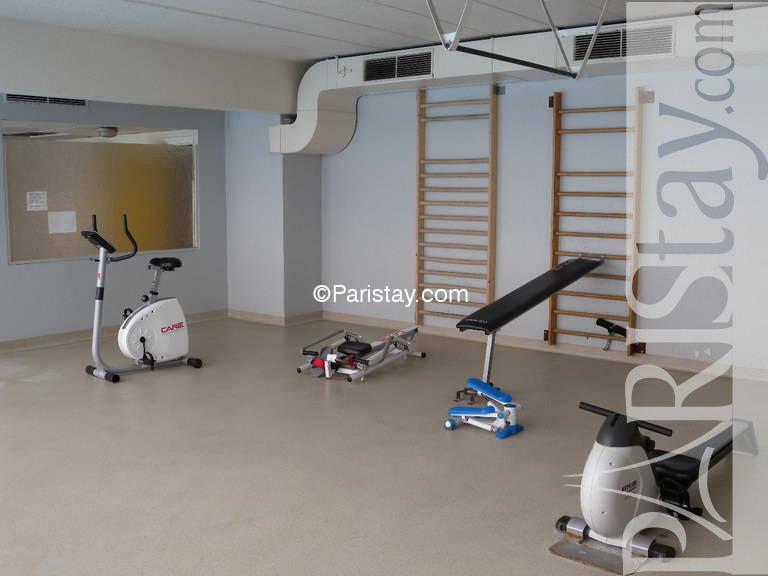 The residence is fully equipped: you have access to a private swimming pool, a sauna, a gymnasium, a fitness equipment and a private elevator leading to a Solarium on the roof of the building. 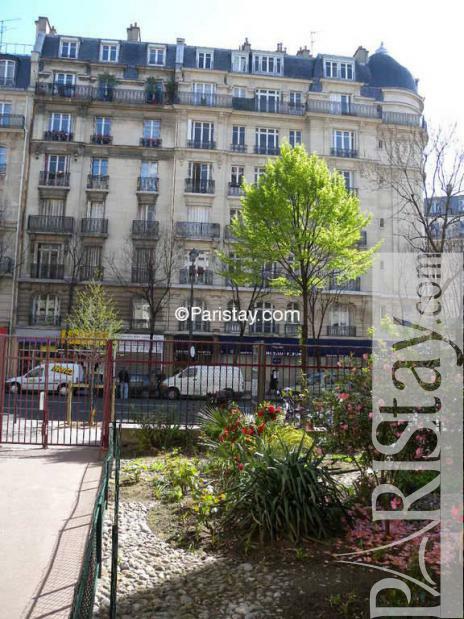 Unique in central Paris! 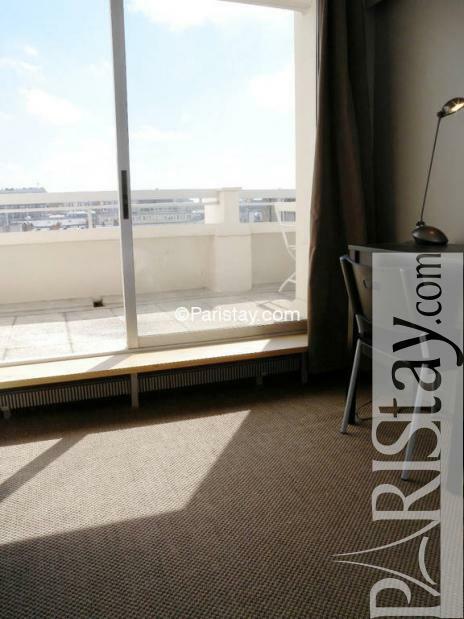 The 3 meter windows view will take your breath away as you will see all the beautiful city in front of you from Notre-Dame Church to National Library. 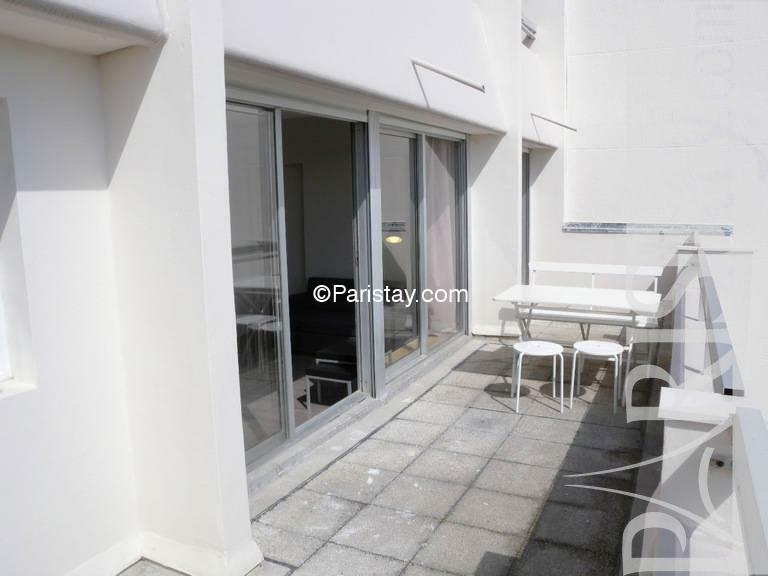 Bedroom and living areas all have doors leading out onto a South East facing terrace. 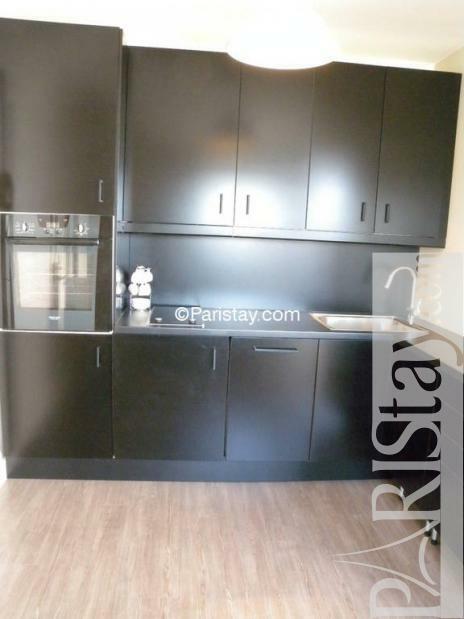 Kitchen is fully equipped and there is two more beds in the living. 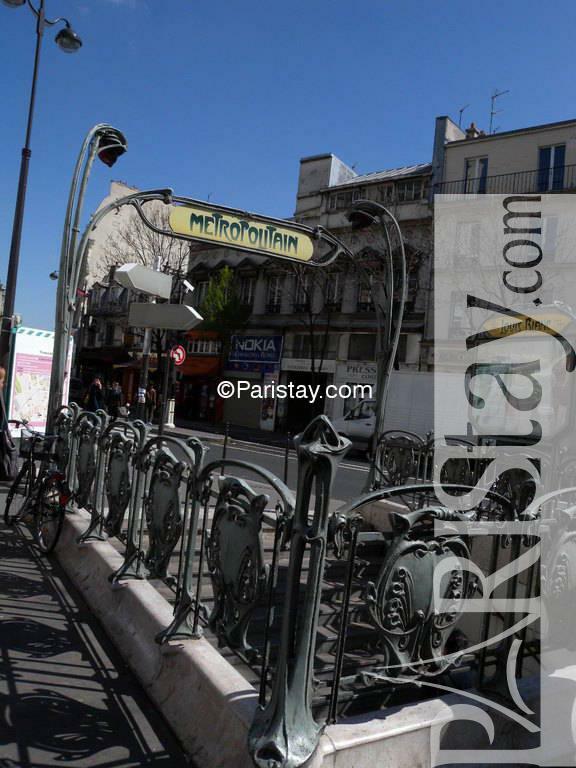 Metro is right next to door’s building, Gare du Nord leading you to London or Bruxelles is 10 minutes walking and Gare de l’Est about same distance. 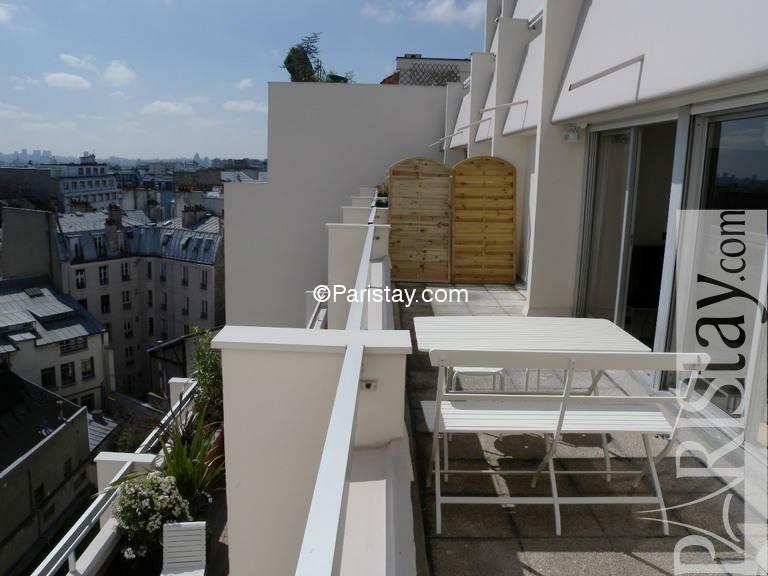 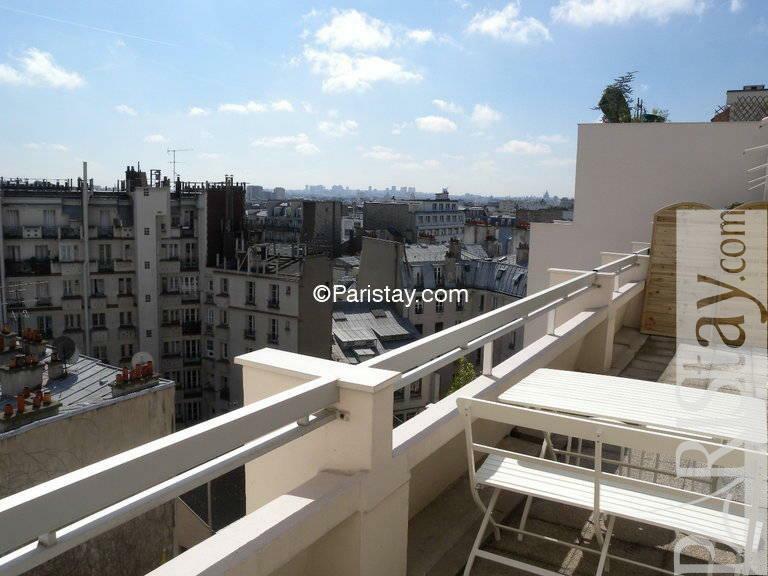 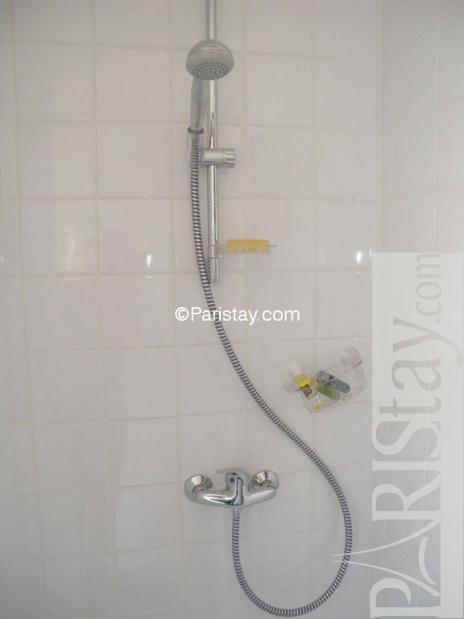 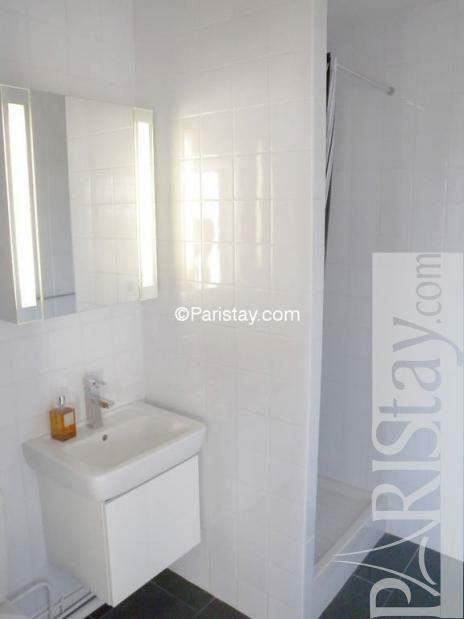 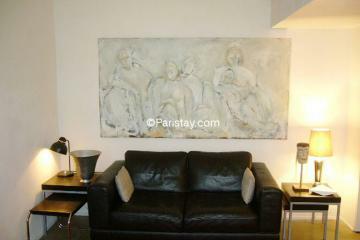 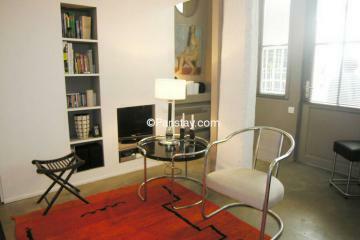 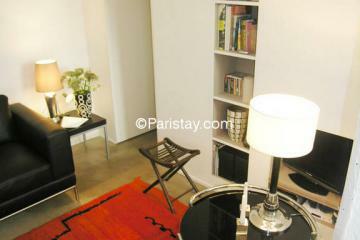 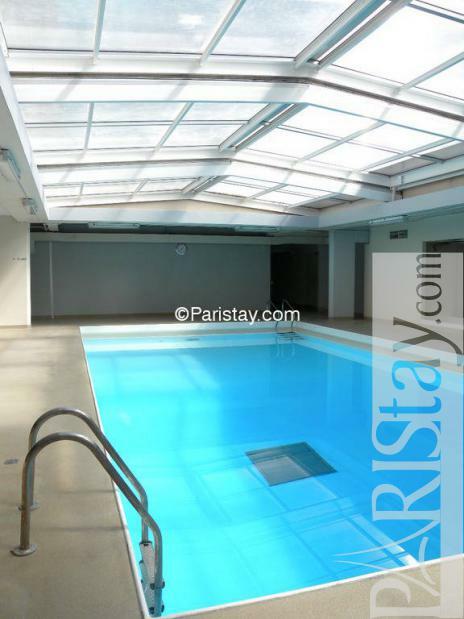 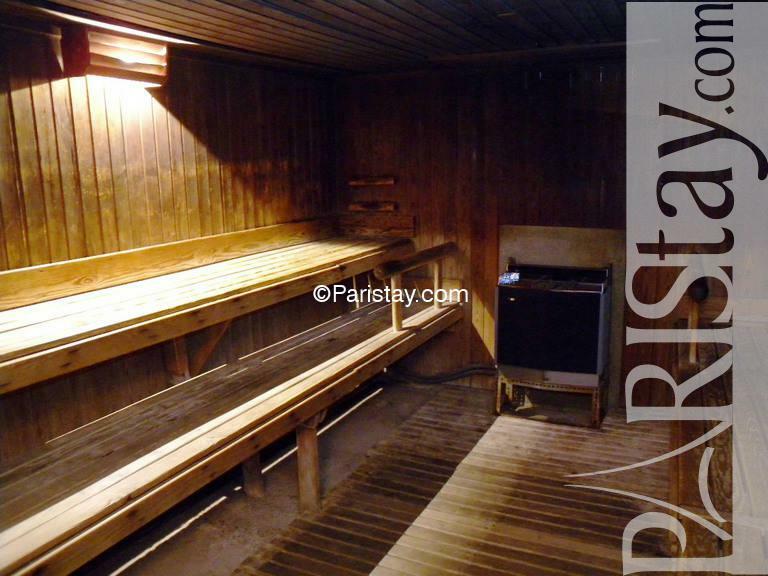 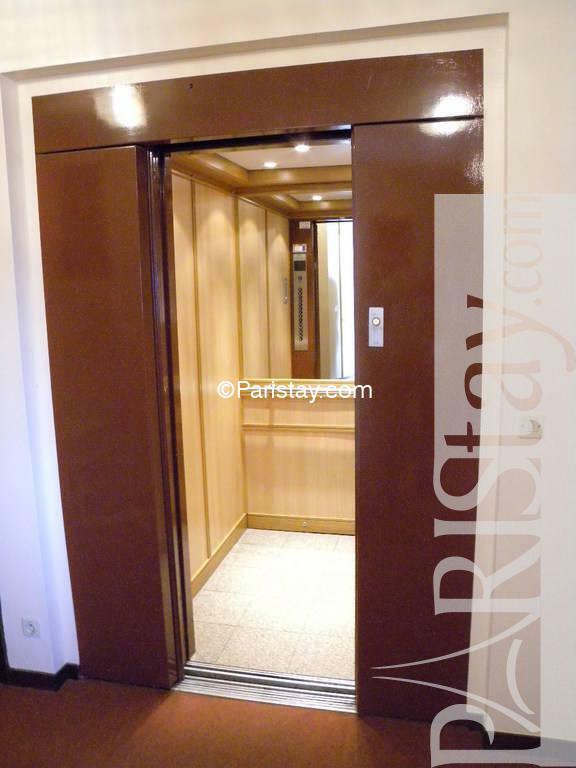 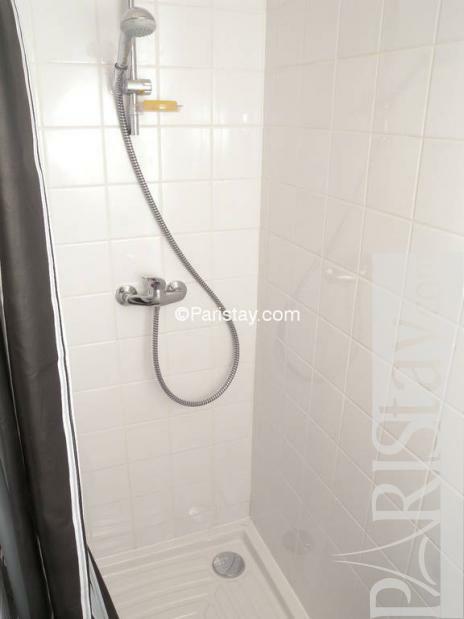 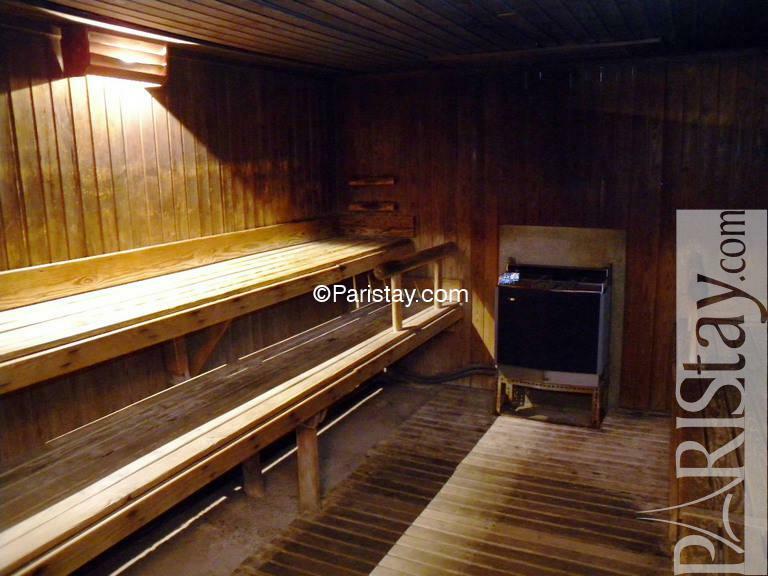 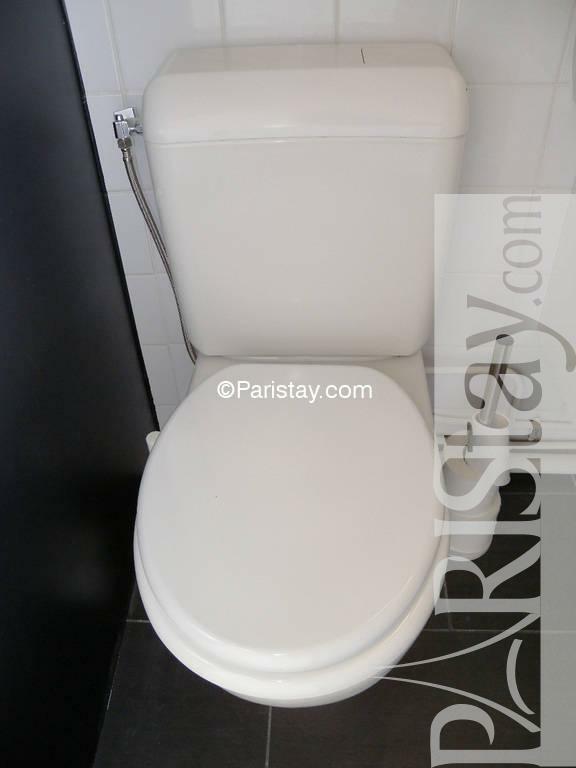 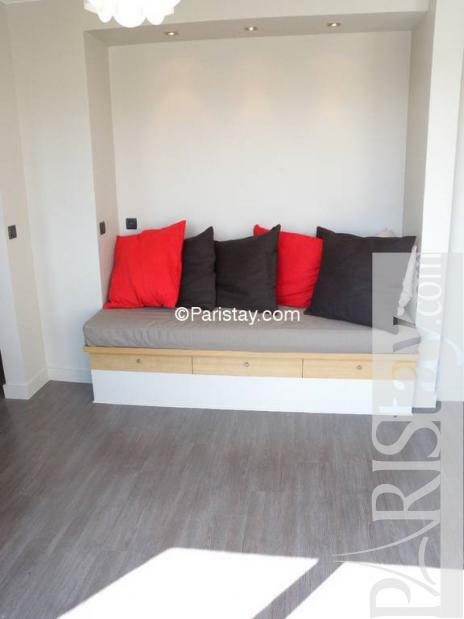 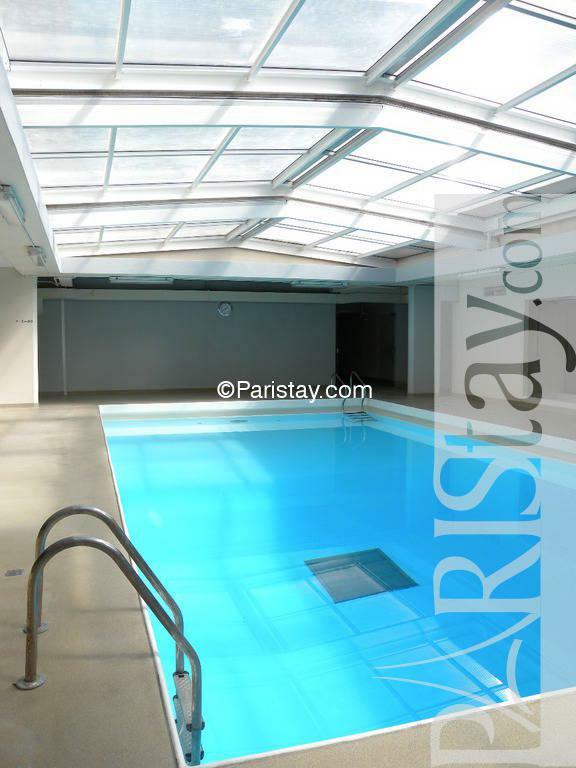 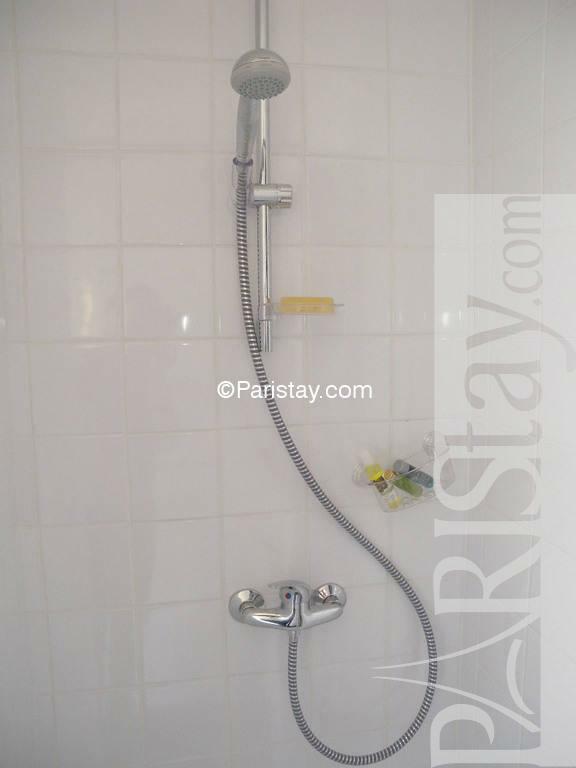 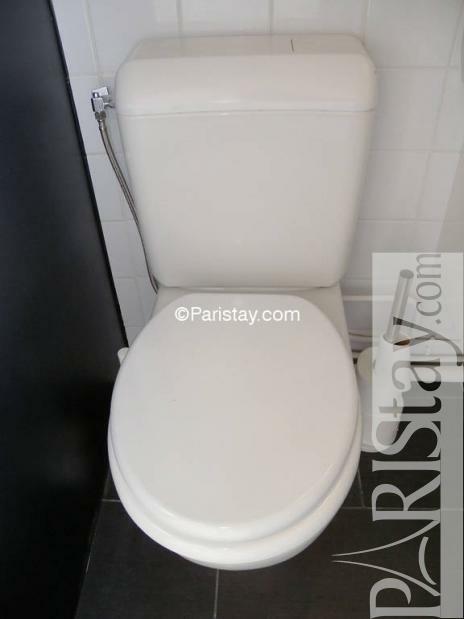 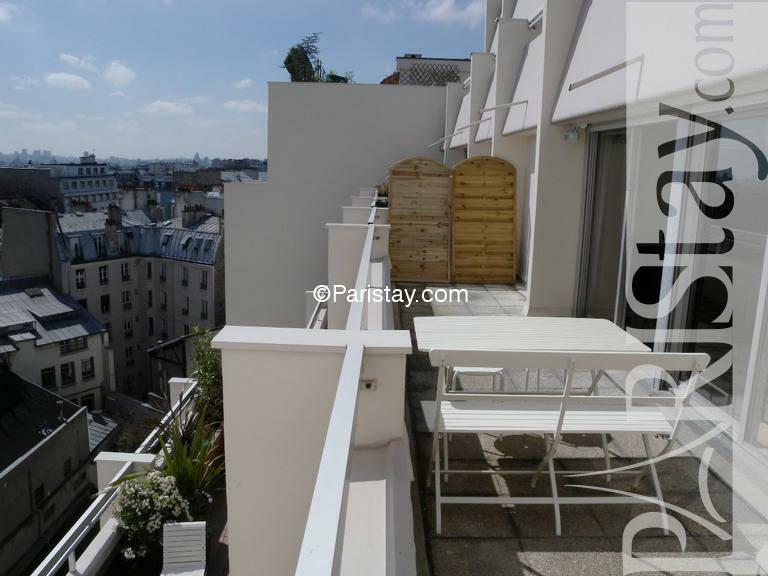 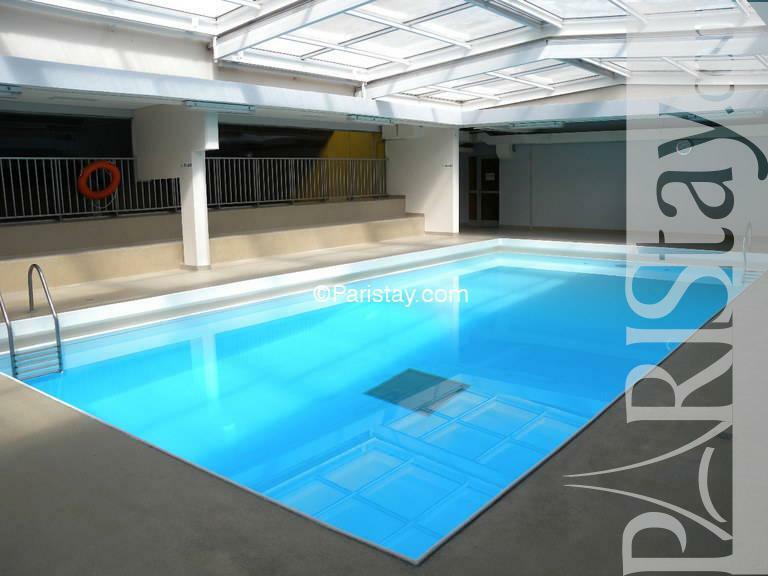 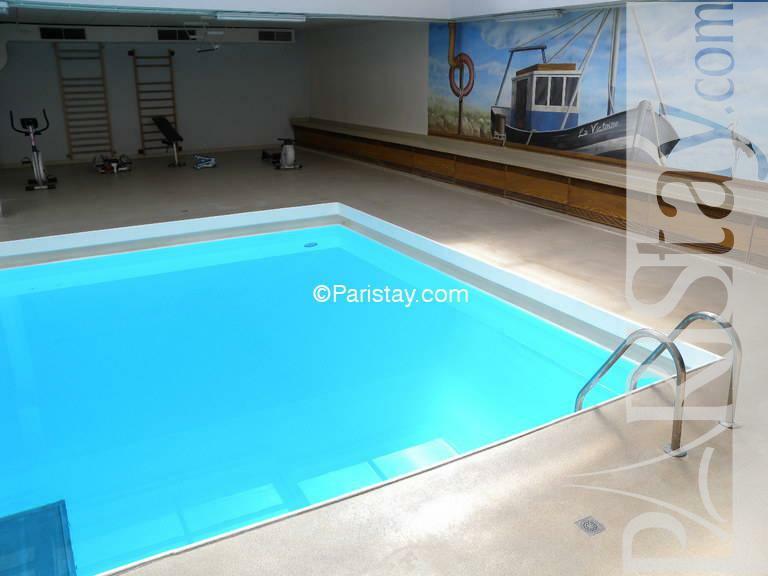 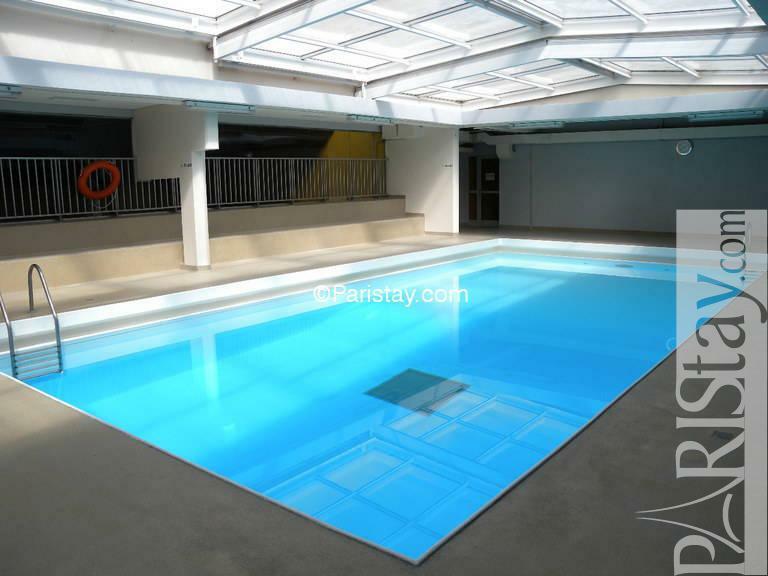 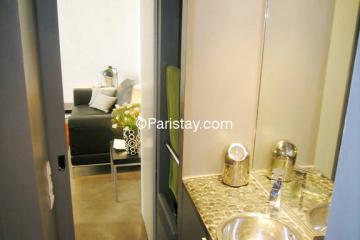 It is just perfect for your long term rental in Paris. 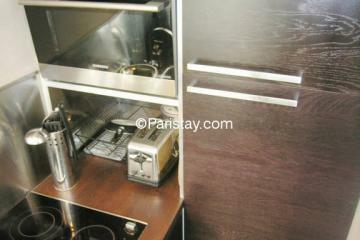 Very rare, don’t wait if you want to have it all. 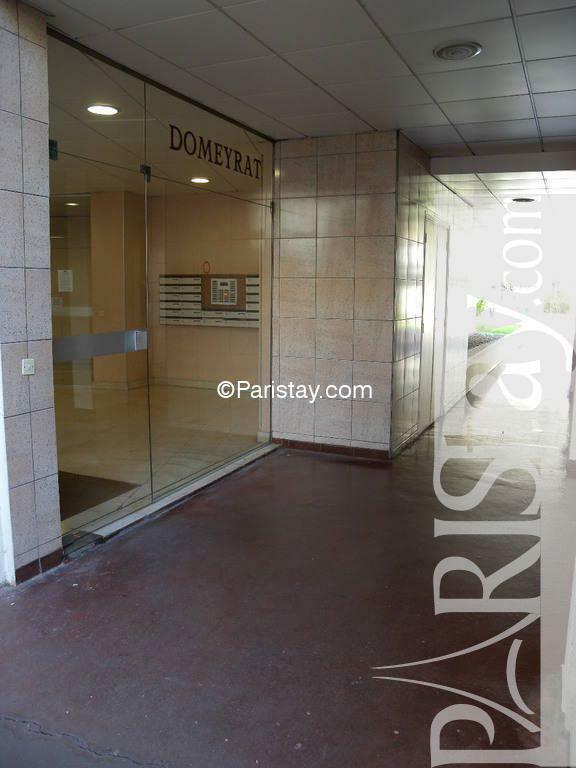 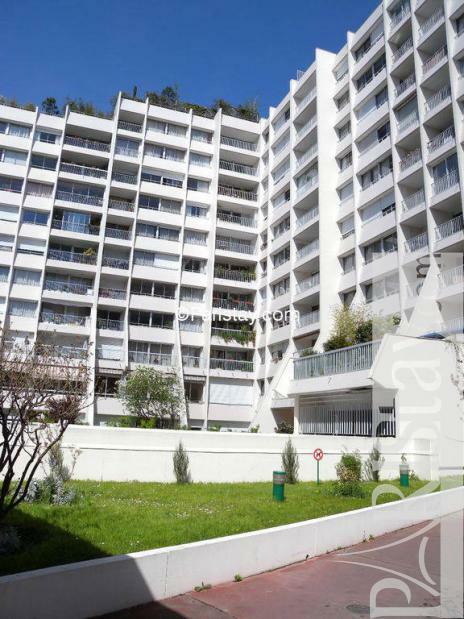 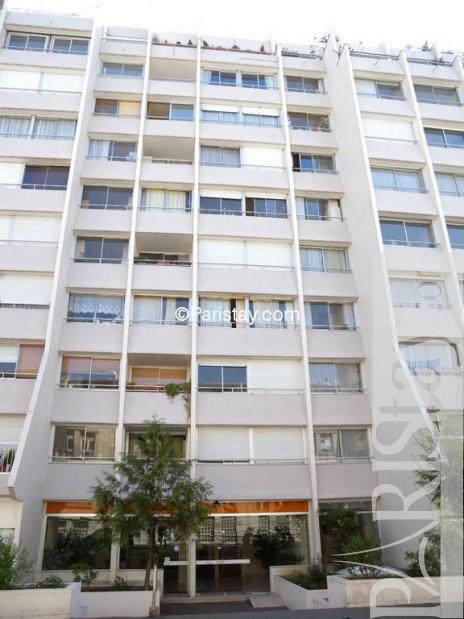 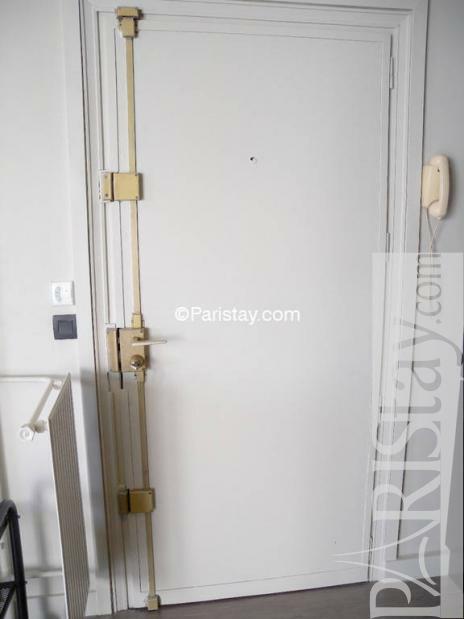 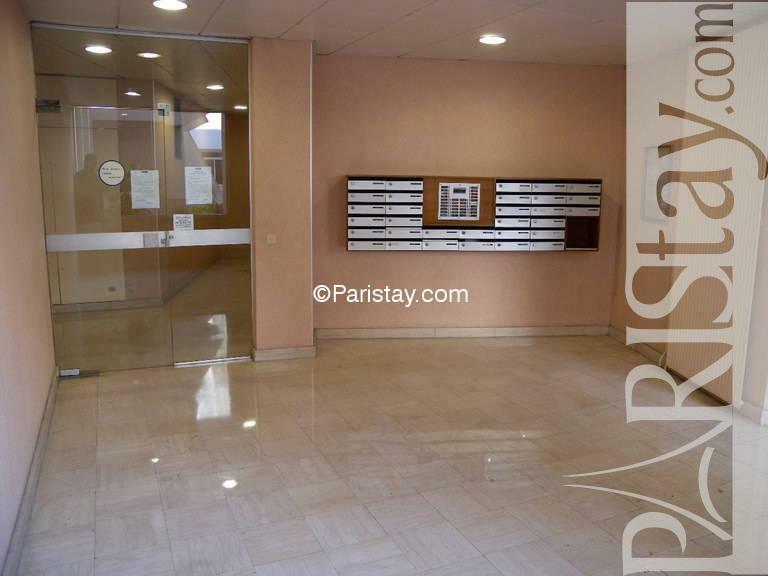 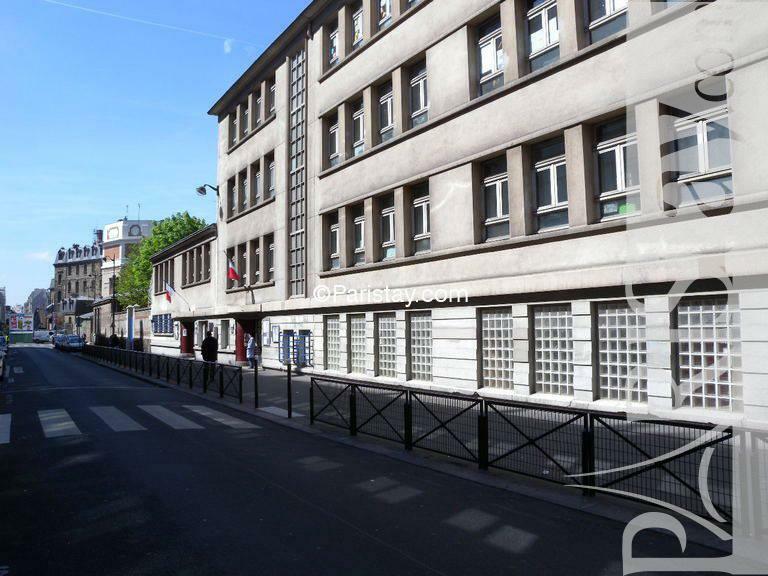 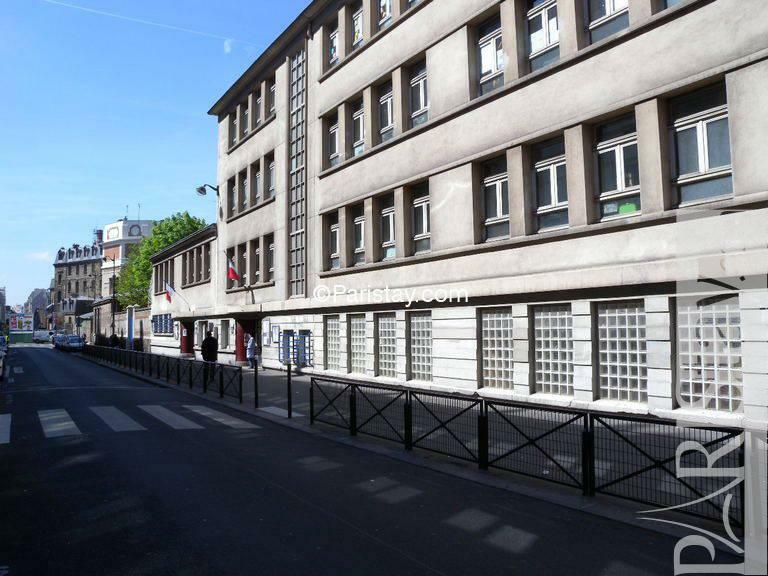 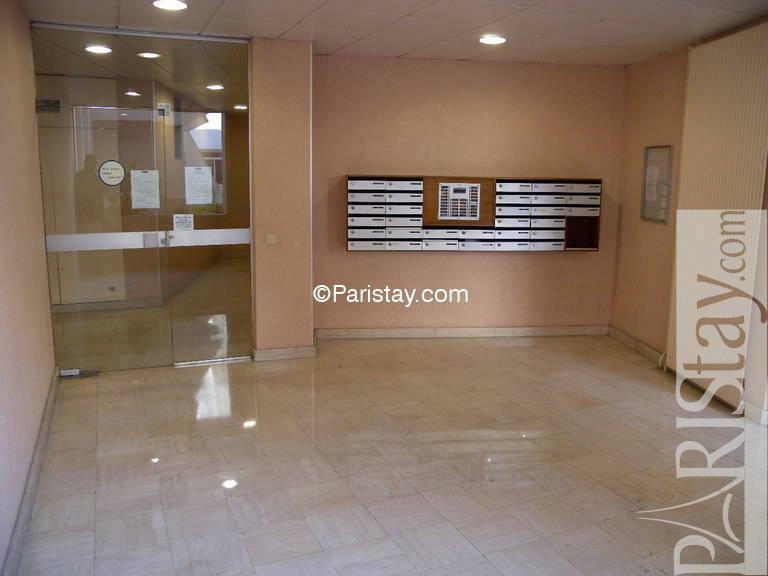 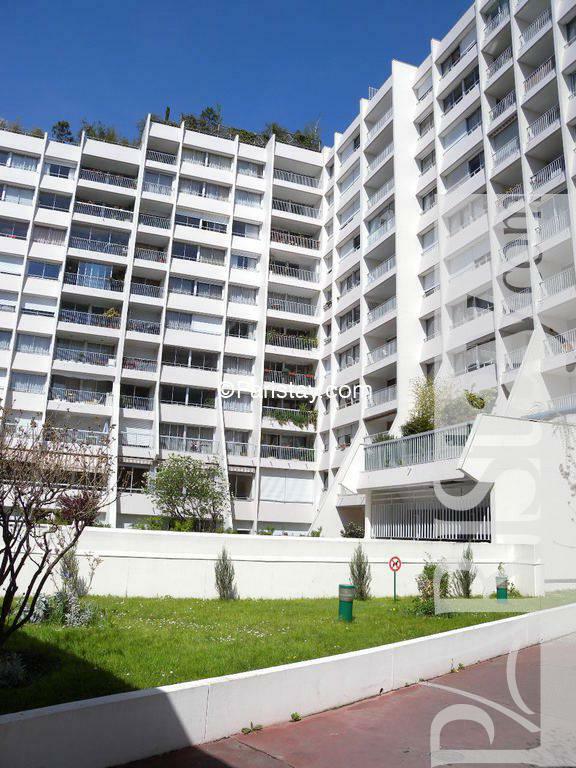 1970's Building, 8 rd floor, with Lift, entry code security system, with intercom, 1 bedroom Appartement, furnished, Approx: 38m² / 409 Sq.Ft. 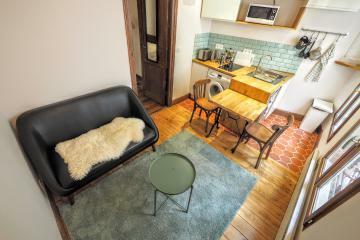 Mouldings, Hardwood, visible beams, visible stones.